This year, the Startup LaunchPad is expanding to feature fast-growth startups from across the ecosystem. With two tiers for new and growing businesses, we’re tailoring the agenda, pre-show support and pricing to your level of experience. The Startup LaunchPad, powered by Phrontier, is a dedicated networking and demo space specifically designed for early stage start-ups to showcase their exciting new tech and solutions, as well as for FIs and incumbents to scope out the latest innovations and opportunities for collaboration. 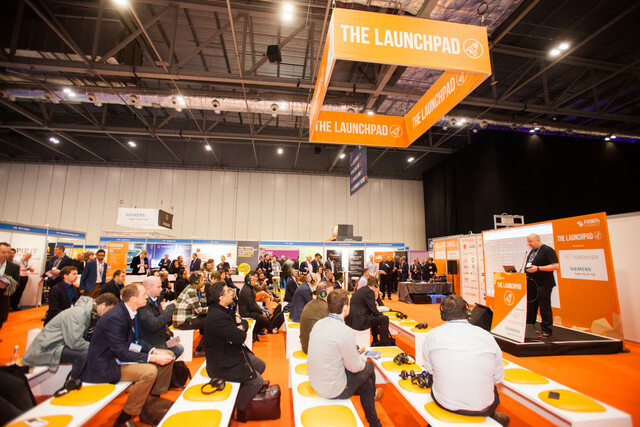 Provided with the opportunity to demo your product on the LaunchPad stage, network with key influencers, and even participate in pitching with VCs and accelerators, this year’s schedule has been created to absolutely maximize the value gained from your time at the show. A large portion of the audience that spend time in the LaunchPad are from the investment community; VCs, private equity, angels and institutions, as well as senior digital innovation and infrastructure professionals from financial institutions, and mainstream press and trade media - including social influencers. LaunchPad participants also receive one pass for their founder to join the FinTech Founders Forum, an invitation-only 1 day conference & networking event taking place at FinTech Connect. As well as crucial insights into scaling up your business, your founder will also have the opportunity to network exclusively with revenue-generating fast-growth business owners. Previous Founder’s Forum attendees include Yoyo wallet, Tide, EasyProperty, CurrencyCloud, Zwipe and more. We’re boosting the online and offline presence of our LaunchPad start-ups this year with a vast range of new formats to promote LaunchPad exhibitors, including a monthly start-up bulletin to our opted-in audience, enhanced online profiles and content, and full year social-media support via Instagram, LinkedIn, Facebook and Twitter. This year we’re also provided full support in the setting up of your stand – guides to set-up, design, and making the most of your first show – perfect for exhibition newbies.